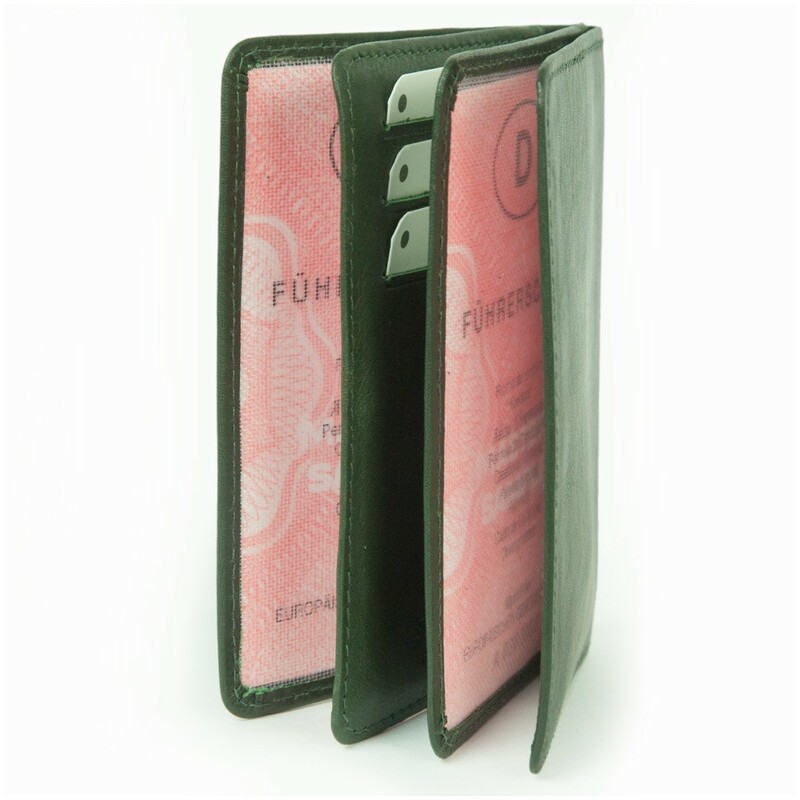 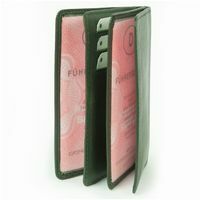 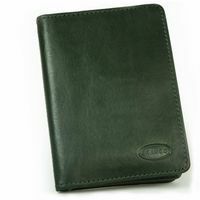 You are looking for a small, robust ID cover made out of high quality real leather where you can keep your IDS, your most important documents and cards of all kinds well-arranged but still in a stylish way? 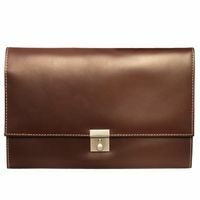 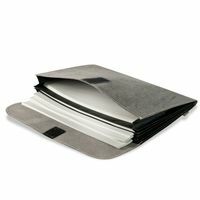 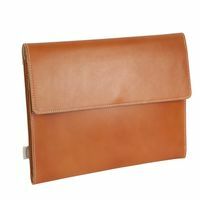 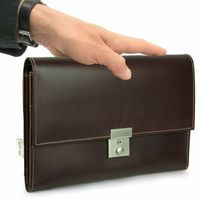 - This chic bag in A7 format is the perfect solution. This sturdy leather ID pouch fits credit cards, debit and bank cards, club membership cards, customer cards, insurance cards, business cards and any other kind of cards in credit card format. 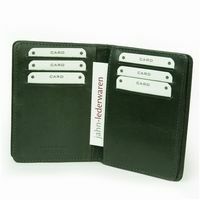 There are six card slots for that. 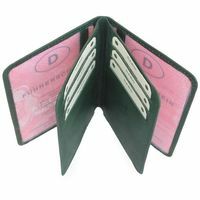 But also old, large-sized identification cards, driver’s licenses, vehicle documents and similar are well kept in the six special slip pockets, which are intended especially for those kinds of documents. 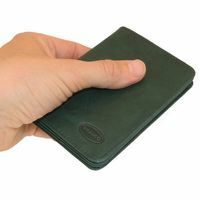 Whether old, large-sized personal ID, driver’s license or the vehicle documents or the debit card, insurance card or membership ID – this chic card wallet fits a large number of your most important documents and cards of all kinds of the classic credit card format in a stylish way. 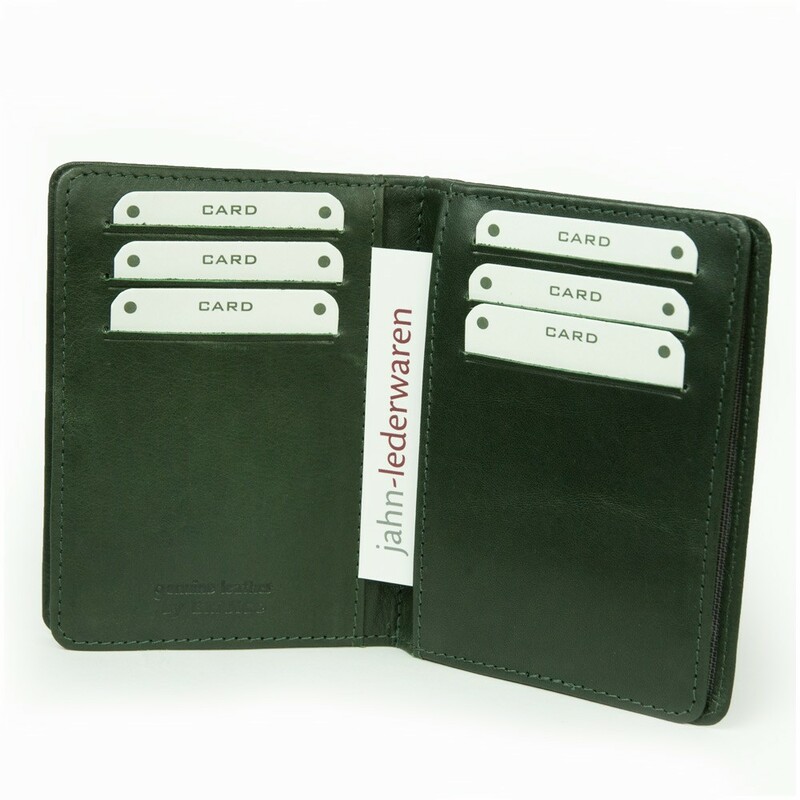 And the best thing about it – due to its simple, timeless nice design, the high quality leather card holder suits women as well as men very well.